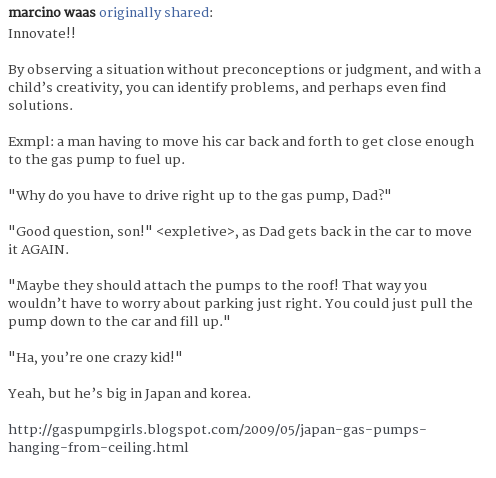 Bloggin' Abt Oil/Petrol and Related Events/News from Kuala Lumpur, Malaysia. 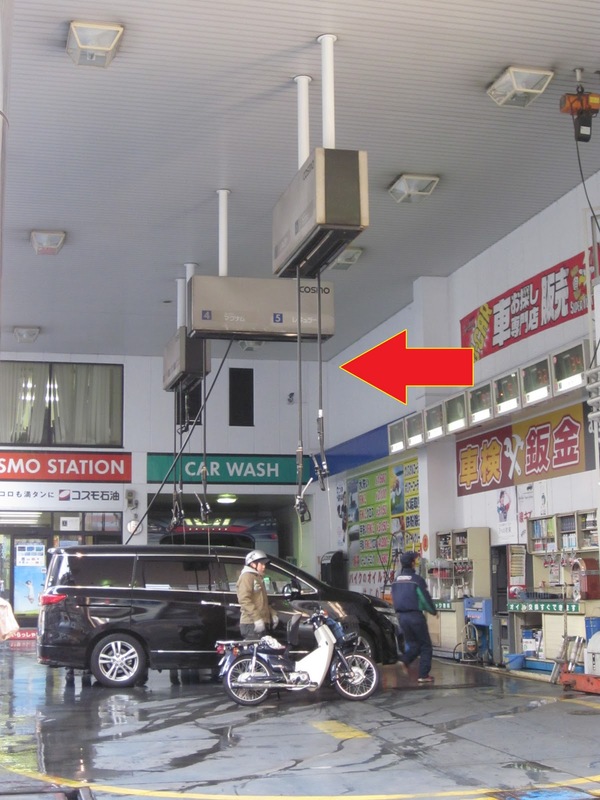 Should petrol pumps hang from the ceiling? While I was browsing my Google Plus timeline, I came across this. 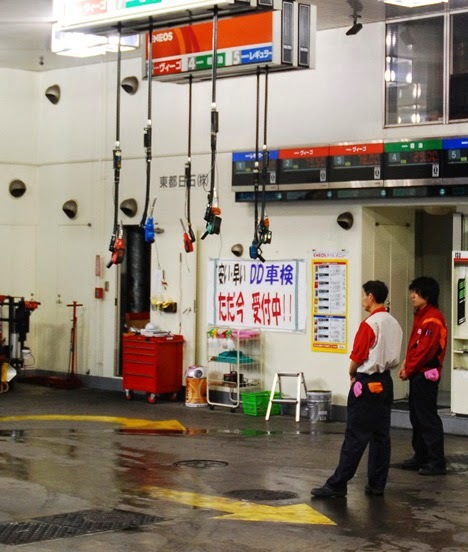 Apparently in Japan and Korea, petrol pumps hang from the ceiling. 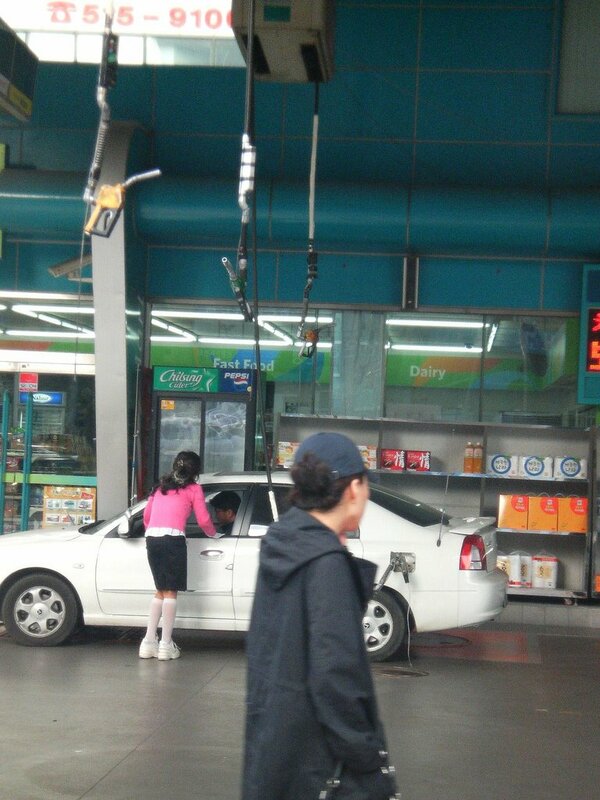 This solves the issue of parking your car just right so that the pump is located next to where you pump the petrol i.e. the fuel filler cap or petrol cap. I once read from a book, car manufacturers make cars with their petrol caps on left and on the right so as to make sure that petrol stations won't have people queueing up for petrol pumps of a certain sort only. 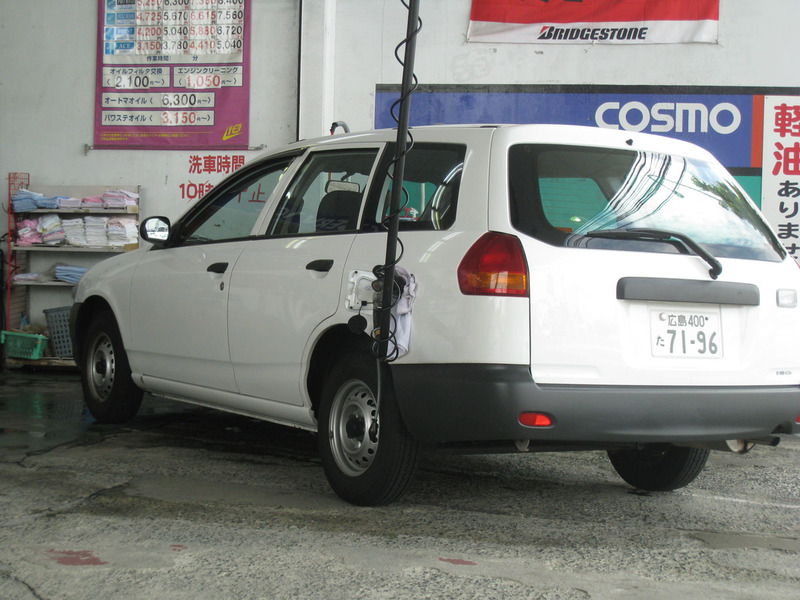 For example if all cars had their petrol caps on the left, drivers would want to park on the right of the fuel pump so as to fill up their car fuel tanks. Lefts and rights are all right as a solution when petrol pumps are located at chest level -- you need to pull them over to the petrol cap, and the closer the petrol cap is to the pump, the better. 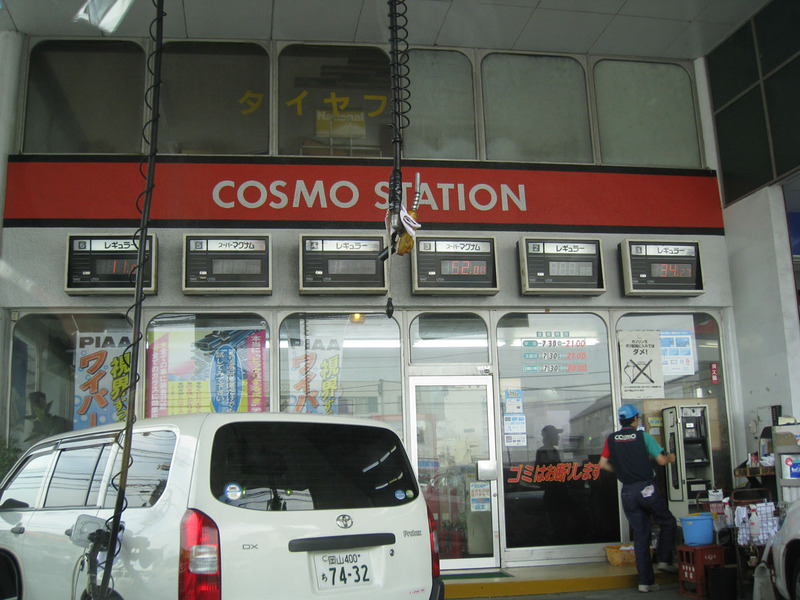 However, if petrol pumps hang from the ceiling, the issue of which side is the "right side" would not even come up. Here are some pictures of pumps that hang from the ceiling, thanks to Google Images. inconvenience of reparking when the petrol cap is on the wrong side. 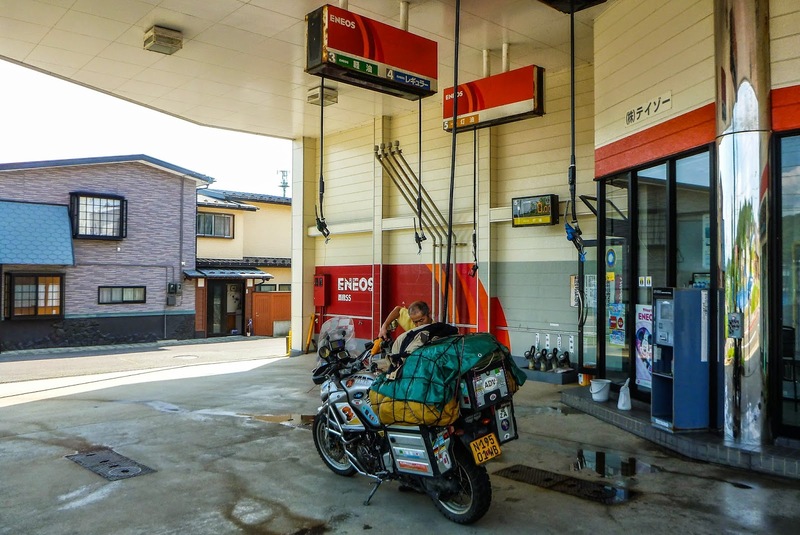 Of course, I am aware that petrol pumps in Malaysia have mechanism for credit card payment, and the pumps in the photos don't seem to have that. Maybe we should study how they solve that problem in Japan. As a matter of fact, somewhere in late 80s to early 90s, this technology has been used in our country by Petronas Jalan Ampang the one in front on Risda Building. Acoustic ceilings are valuable since they are exceedingly light intelligent. They enable all the more light to reflect over into the room, setting aside some cash in utility expenses. You can pick which board you want dependent on the dimension of stickiness obstruction, reflectivity and imperviousness to fire. Many PVC gypsum ceiling panel supplier also providing acoustic ceilings facilities to customers.